Welcome to Episode 26! This week’s conversation is with Jay Harris. Jay Harris brings nearly 50 years in Christian ministry to his work training, equipping, and developing Christian leaders. He has served since 2008 with Coaching4Clergy (C4C) where he presently serves as a trainer, faculty member, and mentor coach. 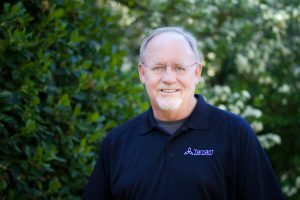 Jay is the Director of Church Starting for Tarrant Baptist Association (TBA) in Fort Worth, Texas, a network of nearly 400 Southern Baptist Churches. He has served on the TBA staff since 2000. TBA enjoys a coaching culture where each director is an active certified coach, trainer, and faculty member with C4C. Jay is a Professional Certified Coach (PCC) and a member of the International Coach Federation (ICF). Jay lives on mission by pouring into marred vessels revealing God’s treasures. Discover who God is creating you to be, don’t try to be someone else. Join me next week for Episode 27, a conversation with another ministry leader.